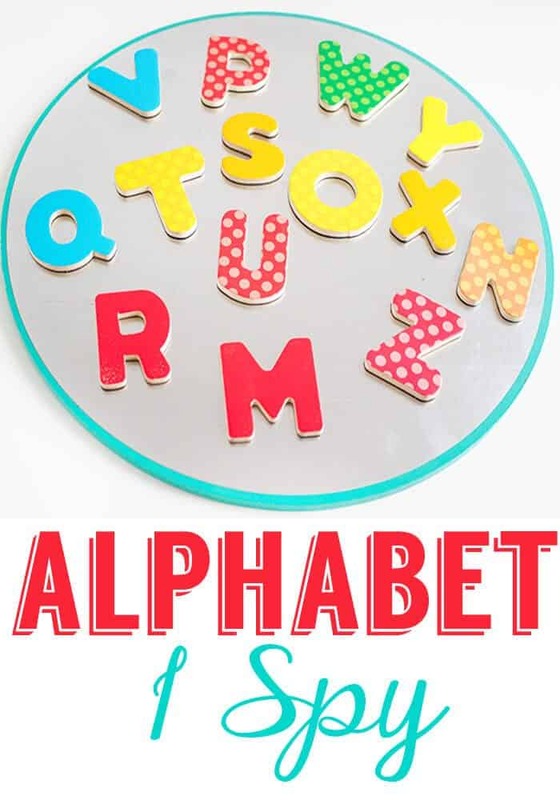 This fun magnetic letter alphabet I Spy game is a great way to get kids used to letters even when they are not ready to memorize them. 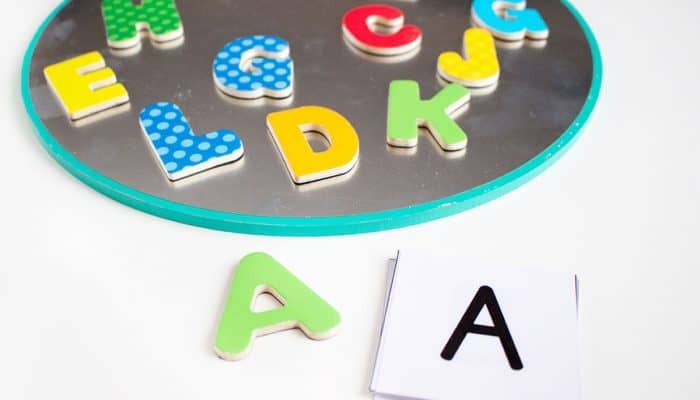 The ability to match letter to letter is one of the first steps in being able to independently recognize the alphabet. I love this game for its simplicity and we will be using it often in the coming weeks and months to work on different skills. I absolutely adore the little circle magnet boards that are in the Target Dollar Spot right now. To use them off of the wall, you just need to remove the picture hanger from the back. You could do this activity with it hanging on the wall, but I love the portability of having it off the wall. If you can’t get the circle magnet board, any magnetic surface will work. A refrigerator, magnetic white board or other magnetic board will be fine. To start I divided up the letters of the alphabet onto two boards and also divided the alphabet cards. 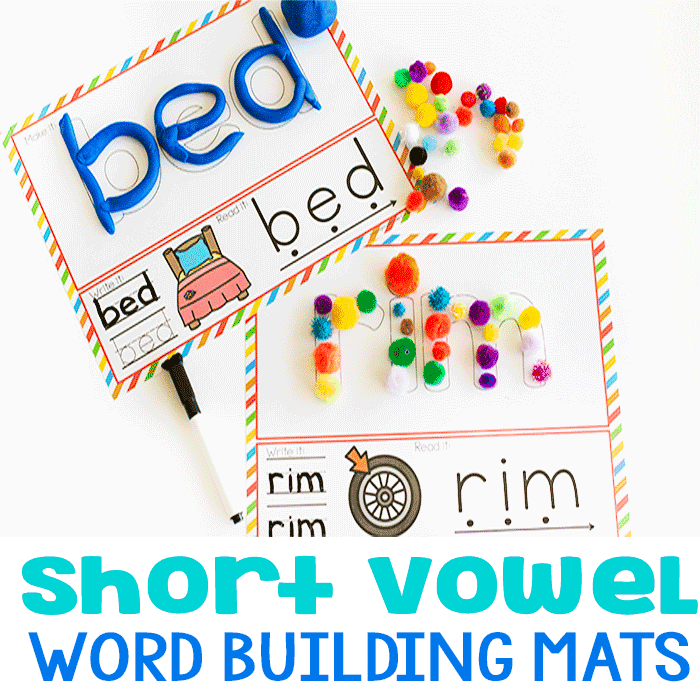 With a young learner, it is better to allow her to focus on fewer letters at a time. 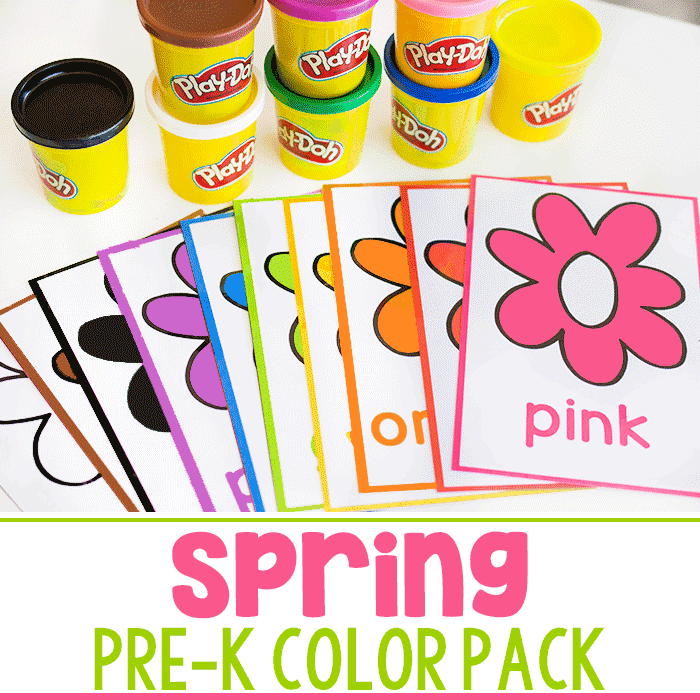 Then, allow the child to select an alphabet card and find the matching letter on the board. We removed the letters as we found them. Continue until all the letters have been found. 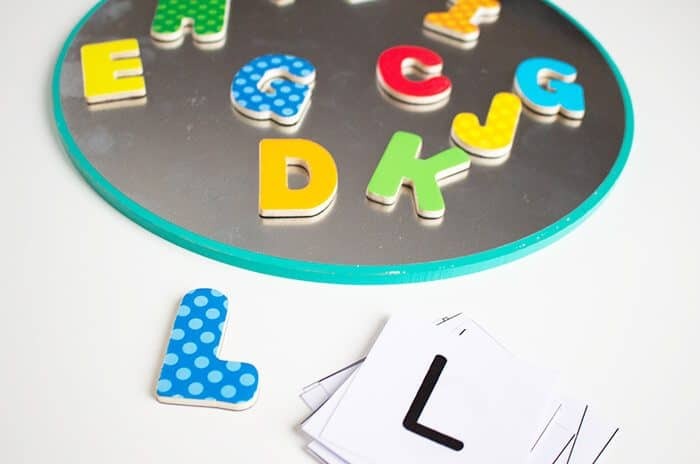 Select the letters for the child’s name and have them find the letters in order. 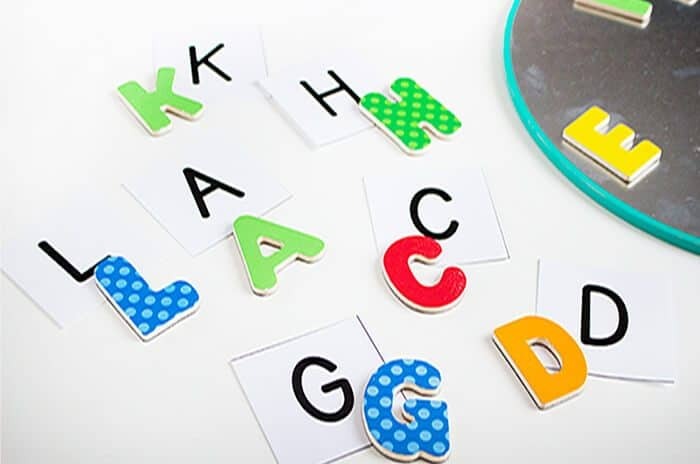 Match uppercase letter cards to lowercase magnetic letters or vice versa. 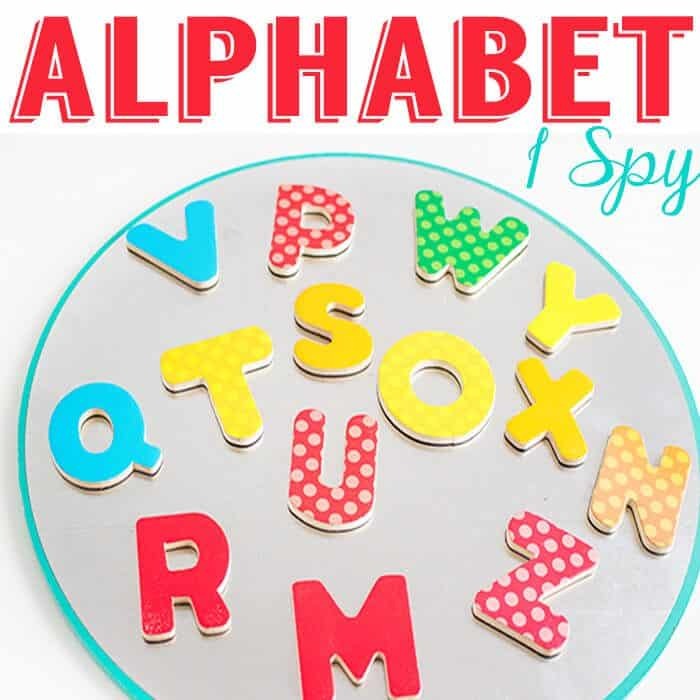 In the alphabet card download below, I also included numbers, so you could also use this activity to do a number I Spy. 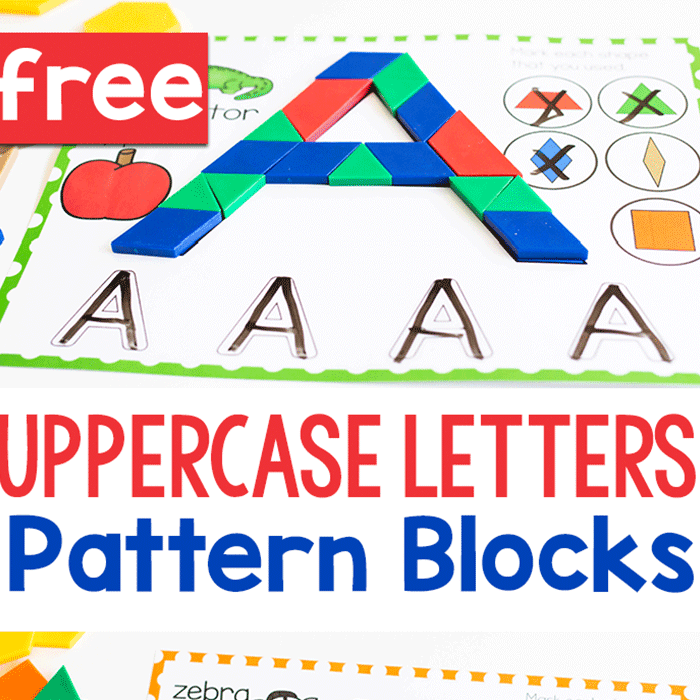 Download the Alphabet Cards here. 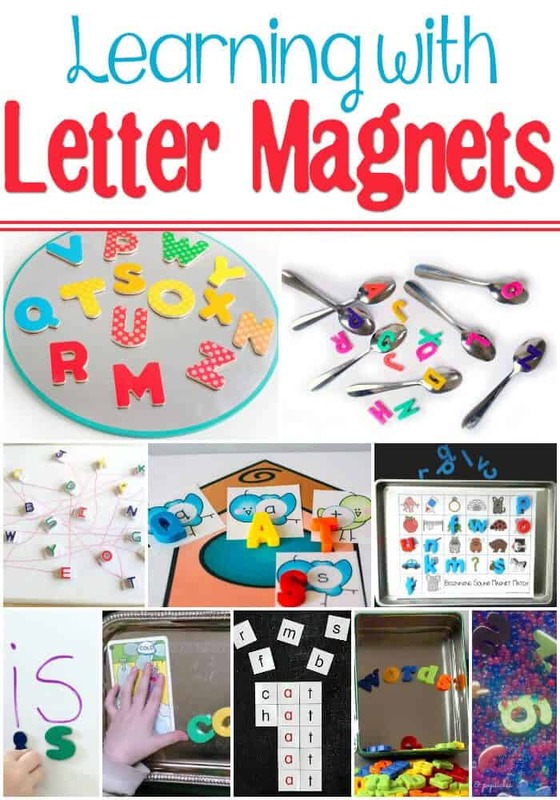 More great magnetic letter activities! I love this! I ill have to look for those magnetic boards next time I am at Target! 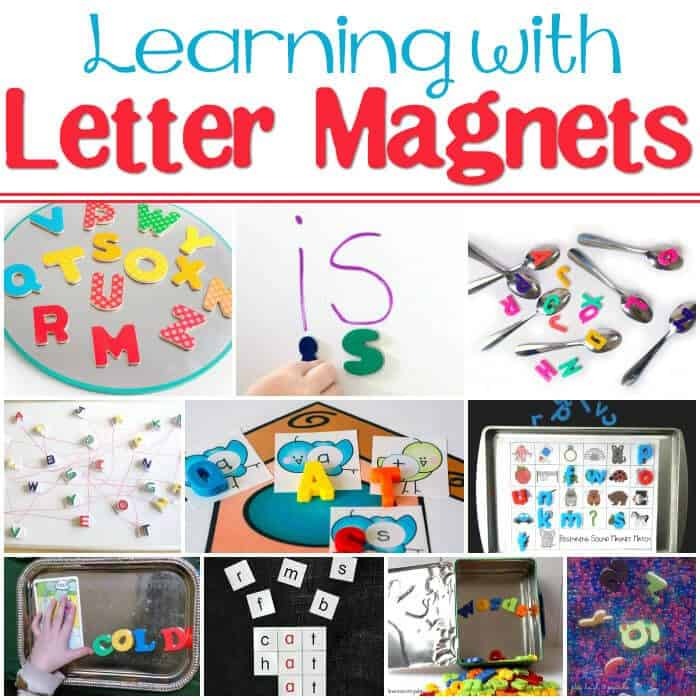 Where did you find your colorful magnet letters??? I love them and want to find some!